Normally, Jalopnik will be the place you come for answers. 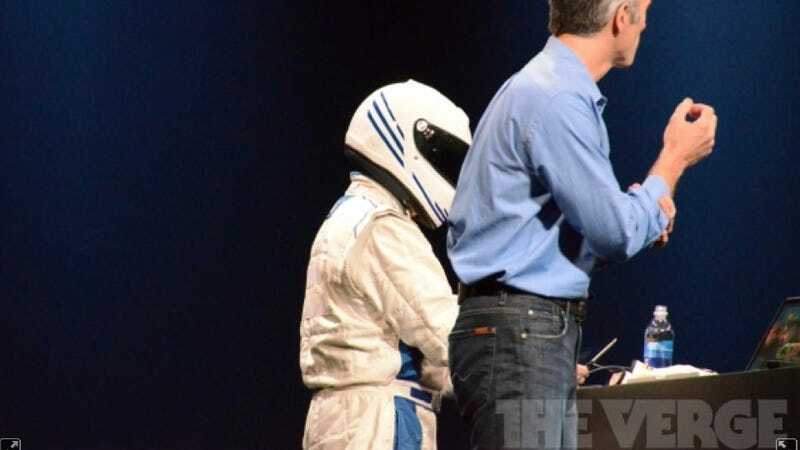 Right now all we have is questions since someone who looks exactly like The Stig from Top Gear randomly appeared at Apple's World Wide Developers Conference today to promote that Game Center thing Apple keeps talking about but no one uses. He is, apparently, a fake Stig. Why would you do that Apple? Why the fake Stig? Do you not know who The Stig is? Do you think we wouldn't know?